Jered is his name; honor is his game. How could I even think of pursuing my career without the devotion of Jered? And who would I have tea with every morning, listening so attentively? All my thoughts are on the table with this honest man. These past ten days, beginning June 8, were the product of his architecture. First, negotiating the Super MegaShow for me to appear at with the Batman folks and some rock ‘n roll vets who provided a music venue in which I participated. It’s always a bit harrowing for me to step into a pre-existing band but in this case the The Characters’ resume included backing The Monkees, so with little rehearsal we did a decent job. My #1 New Jersey fans, Matt Nigro and family, were there rooting me on. Thanks Matt! Gene Cornish from The Rascals has become a friend of mine and stirred up the audience with “Good Lovin”. Now he would be someone I’d love to tour with. 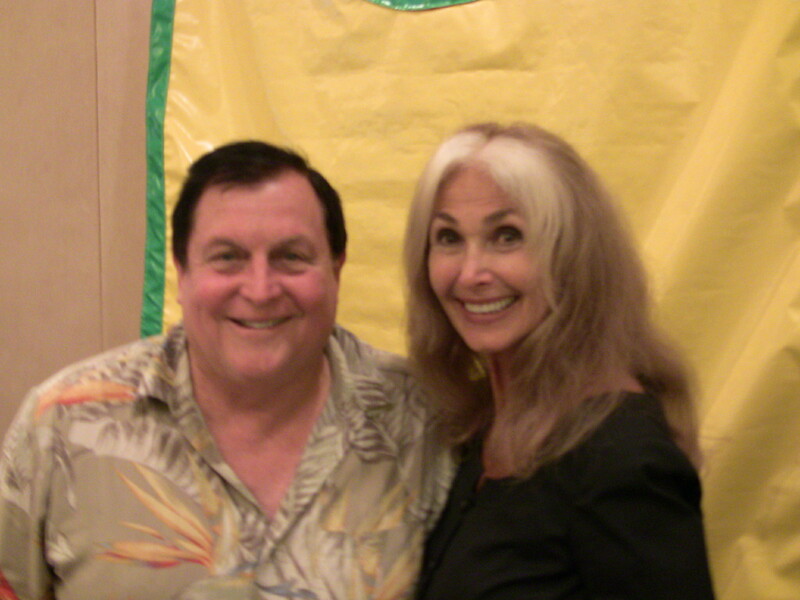 Finally re-aquainted with Burt Ward. Caught him sitting on a bed pillow on top of his chair while signing autographs. Here we are standing patiently for Jered to capture the moment. I love shaking hands with fans. Everyone has their own vibe. This time I connected with several very gentle souls with whom I shared some time. My LA music officinado, Domenic Priore set me up to speak with a Jersey guy, Gaylord Fields, a DJ at listener-supported WFMU. 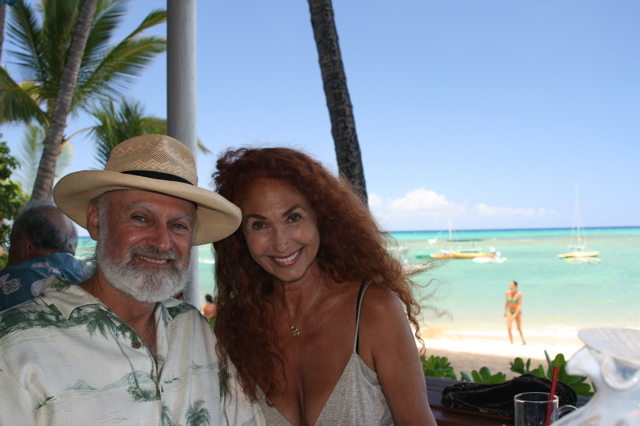 He hosts a show on Sundays from 5-7pm and wanted to interview me. With Jered by my side and Matt at the wheel we headed over to Jersey City to meet Gaylord. A lovely man greeted us outside the radio station, truly a one-man show. We were escorted down a corridor filled to capacity with a massive collection of Vinyl from the fifties and sixties. I stopped to peer at what I thought was an example of pop album art, but before I had it half way out Jered reminded me to keep it in it’s place. He’s not only watching out for my best interest but generally everyone else’s as well. Black velvet paintings lined the walls of this working museum of pop culture. Then into the sound booth for an hour with Gaylord. I walked into “Blowing Out the Candles” spinning on his turntable and subsequently my new version of “It Only Hurts When I Cry”. We chatted, as you will hear (listen to the interview), and then he blew my mind and showed me a copy of my daughter, Anna’s, latest release, California Fade. He then played her song “What Do You Do”, my favorite. And voila…mother and daughter share the same airwaves. Thank you Mr. G! All’s well that ends well as we departed to visit my husband’s family. Oh, do his children cherish their father. A few days in Pennsylvania and North Carolina with his four grandchildren proved to be exhilerating. Carina, his eldest is a ‘mensch’. Translation: a trustworthy spirit who has integrity; just like her Grandpa. The youngest, his grandson named Zaish lives up to his name. He’s a cross between Tarzan and Conan the Barbarian at 2 1/2 years. There’s never enough time to languish on those you love, so parting was such sweet sorrow as Jered’s son, Jaben, drove us to the airport. We like to mix business with pleasure. Let’s see where my hero takes me next.